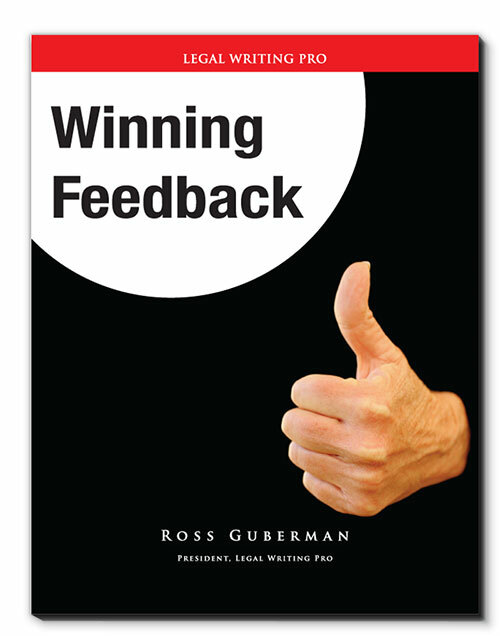 In this 90-minute interactive workshop, we discuss techniques for giving more effective feedback, assigning projects to avoid common misunderstandings, and guiding attorneys’ writing development over the long term. We will review sample attorney work product as part of the discussion. Participants will also create custom practice checklists that will help them give assignments, review projects, and mentor attorneys. 10:00 am:	Style Quirks or Career Enders? If you’d like to learn more about our Winning Feedback program, please fill out the contact form below.